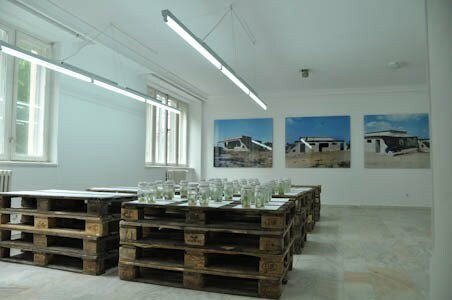 Bucharest Biennale presents: The Biennale Principle, 25 – 26 June 2010. Speakers: Jörg Scheller, Felix Vogel, Beat Wyss, Zdenka Badovinac, Jan May, Ursula Zeller, Annika Hossain, Susann Oehler, Razvan Ion, Marcus Graf, Li Zhenhua, Natasha Becker. In cooperation with the Swiss Institute for Art Research in Zurich (SIK-ISEA), Bucharest Biennale will host an international conference on the “Biennale Principle”. The agenda will address the genealogical aspects of Art Biennales by discussing the history of the Venice Biennale, as well as the present and future conditions of Art Biennales such as the Bucharest Biennale. of Biennales. On the other hand, they often highlight local, regional or national idiosyncrasies – the heterogenizing effect of Biennales. Image: Bucharest Biennale 4, Handlung. On Producing Possibilities, curated by Felix Vogel, image from the installation, 2010. Courtesy Pavilion – journal for politics and culture. Here from left to right installation of: Ângela Ferreira, Åsa Sonjasdotter. Organized by Bucharest Biennale and the Swiss Institute for Art Research.